Sometimes one's loss can be another's gain. The current homeowner closed on just March 30th, 2018 with their family of three and is already on the market before getting a chance to make the home their own. Employer Apple, Inc. is calling this family West to relocate to their new office. 5295 Mirror Lake Dr. was built and completed March 30th, 2018. Comparable new construction sales in the new neighborhood Whisper Point are increasing and pushing upwards of $420,000. Builder, Century Communities is no longer including the same standard upgrades in their newer builds within the community. The window blinds, ceiling fans and lighting, Whirlpool stainless steel appliance package, and living room gas fireplace are no longer being offered as standard upgrades. 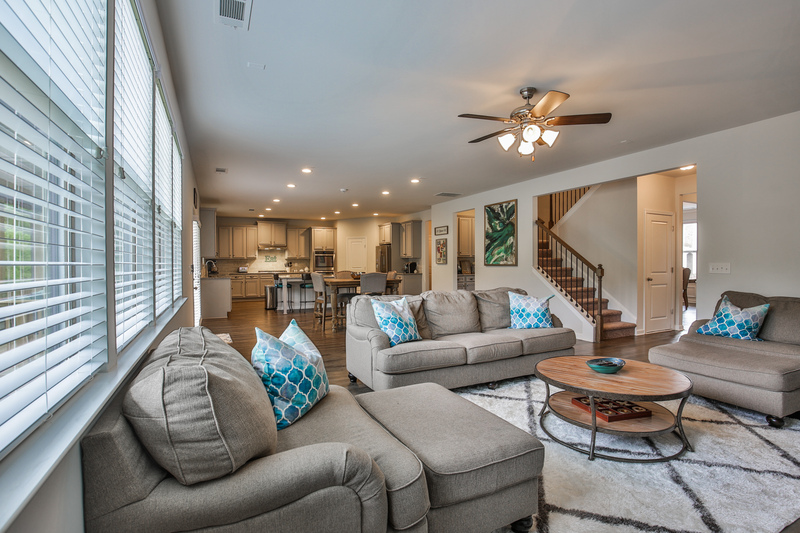 As you move towards upstairs you're welcomed by a spacious landing and access to three guest bedrooms, laundry room, and an oversized owner's suite inclusive of a double spa shower. Take a look at the full walkthrough video below for a tour of the home. Presented by Idya Realty, this charming home is listed for sale at $399,950, about $30,000 less than it'd cost to build new or buy as a spec home directly from the builder. Ready to see it in person? Contact us today to schedule your private showing. The homeowner, proud owners of a Chocolate Lab built a full fence and dog run in their private backyard. You'll find it to be quite peaceful whether down below on the patio or above relaxing on the deck where you can hear the stream behind your property. Built for family, entertaining, or even additional work space is your walk-out basement, boasting 1,700 square feet, that opens up to your fenced in yard that includes side entry, large enough for a truck or trailer. With the additional pallets of brick provided by the builder one could build a fire pit, stone up their outdoor grill and use your exterior gas line, or get creative with a new project. You will notice there is not a neighbor to the immediate left but instead a 40 foot easement, leaving plenty additional green space for playing and moving about. This home is located between Coal Mountain and Silver City, about a mile away from North Forsyth Middle School, North Forsyth High School, and Silver City Elementary school. 5295 Mirror Lake Dr. is in close proximity to Hwy 400, North Georgia Premium Outlet Mall, Coal Mountain Park, grocery, banking, and more! Last updated April 24 at 6:32 pm.